This is certainly an interesting way for a smartphone to leak. 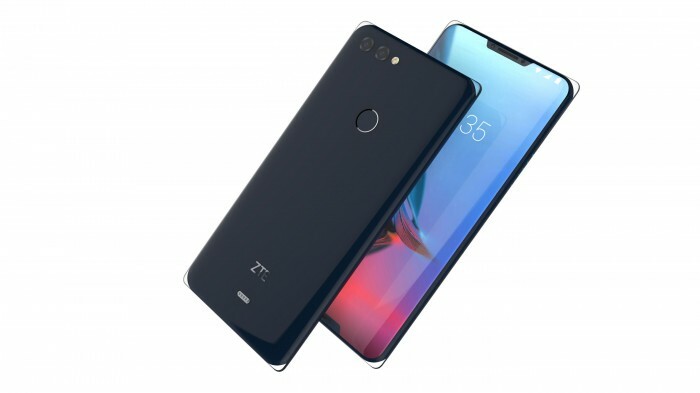 Images of an unannounced ZTE smartphone have made their way to World Design Guide in the form of an entry to win a design award. iF World Design was founded by Germans who celebrated exceptional industrial design in aesthetic, ergonomics, and efficiency. ZTE entered a smartphone called the Iceberg to win an award under the "Product" discipline. As everyone keeps arguing whether or not having a notch in a display is a functional design choice or aesthetic flaw, ZTE went ahead and made a smartphone with two notches in the display. Instead of wondering how to make an all-display smartphone, ZTE doubled the notch to maintain aesthetic symmetry. 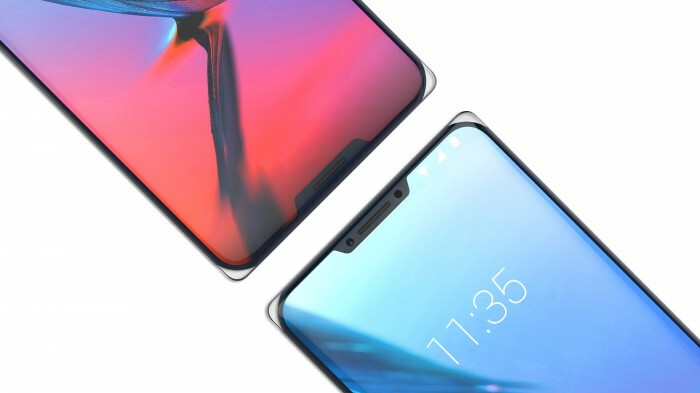 ZTE even managed to fit a front-facing loudspeaker into each notch. 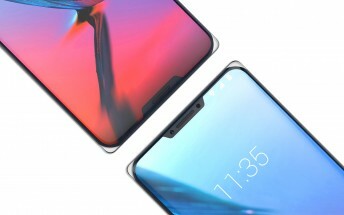 Rather than having a metal chassis holding the front and rear glass together, another slab of glass seamlessly connects the front and rear glasses to make the phone feel like it's a "fragment of ice". This is where the "Iceberg" name makes total sense for the handset. The phone also has wireless charging. The ZTE Iceberg uses a seamless glass connection technique to combine two pieces of glass as one unibody, which makes the phone resemble a fragment of ice. The four corners of the phone are transparent to reveal the essential beauty of the glass material. The effect if beautiful and mysterious. As far as availability. the ZTE Iceberg is set to launch "after 2017", according to the design entry. Development time took 13-24 months and the phone is aimed for launch in Asian, European, and North American markets. We'll be waiting to hear from ZTE about the Iceberg and will let you know when we find out anything new. The entry doesn't list any specs or dimensions. Check out the Source link to see ZTE's design entry.